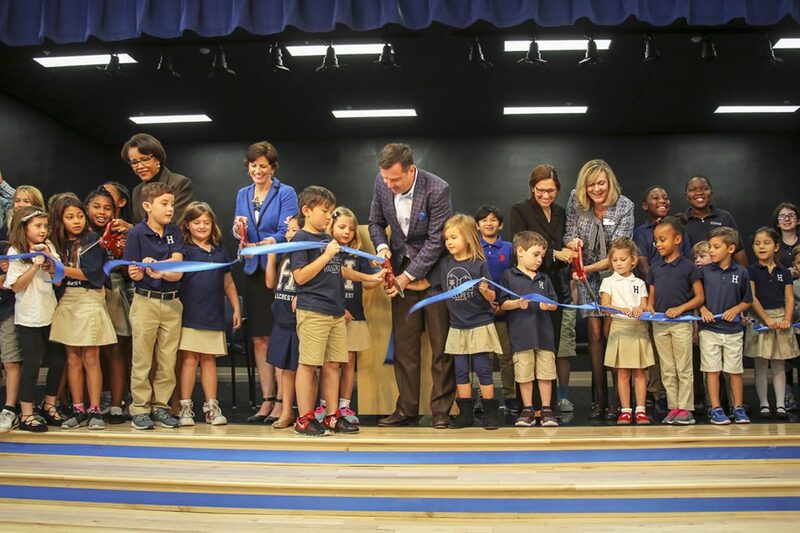 Wharton-Smith Celebrates Dedication of Hillcrest Elementary School | Wharton Smith, Inc. Superintendent Dr. Barbara Jenkins also spoke and led the students in a spirited chant of “I will,” promising to always keep their new school clean, always obey their teachers and parents, and most importantly, agreeing to put their best foot forward towards achieving success. The dedication concluded with a presentation of Hillcrest Elementary’s rich history by Pre-K through Fifth Grade Students in Spanish, French and English; additional choral performances, and an official ribbon cutting.